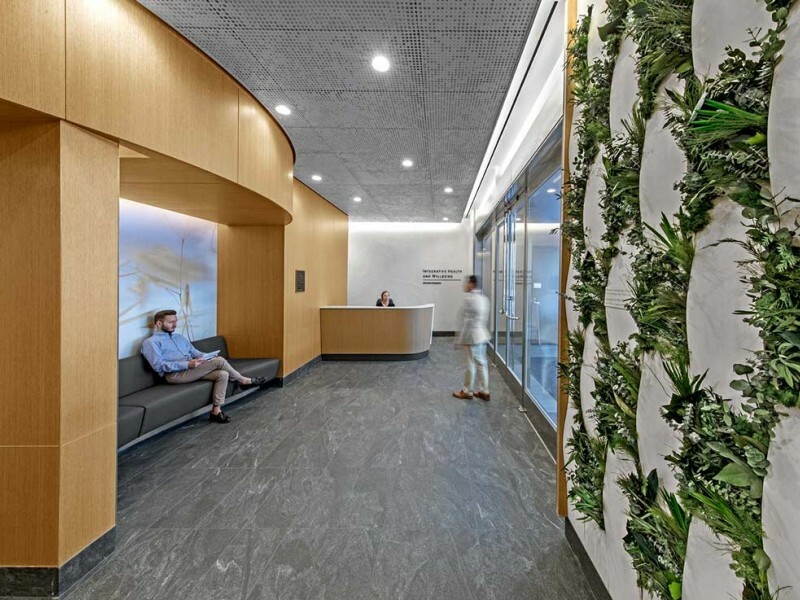 Opened in May 2018, the new wellbeing center on New York’s Upper East Side follows a holistic approach: aspects of health and wellbeing are reflected throughout the overall design and furnishings, which has a strong focus on natural materials. Architectural studio HOK Architects specified Danzer Linea veneer for the walls, ceilings and furniture surfaces inside NewYork-Presbyterian David H. Koch Center. 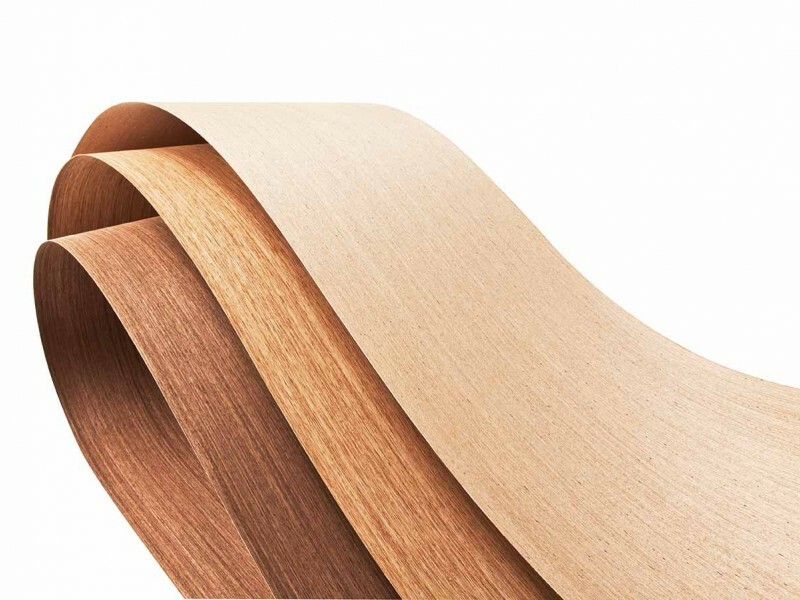 Danzer Linea: a technical real wood veneer. Unparalleled in the industry, it is characterized by a linear, fine rift-sawn aesthetic. Dornbirn (Austria)/New York (USA). Patient wellbeing takes center stage at NewYork-Presbyterian David H. Koch Center, which opened its doors in 2018. The interior at the outpatient care facility reflects a holistic approach that unites healthcare aspects and natural materials. In their execution of this vision, project studio HOK Architects selected Danzer Linea real wood veneer for the walls, ceilings and furniture surfaces. The architects behind NewYork-Presbyterian David H. Koch Center, a state-of-the-art health and wellbeing facility which opened on the Upper East Side in May 2018, adopted a holistic approach: “Respected studio HOK Architects took health and wellbeing as their guiding principle for all aspects of the design and fit-out – ultimately selecting a variety of natural materials for the new center’s interiors. Our Danzer Linea real wood veneer immediately won over the project team and we are very pleased that they decided to use it so extensively,” explained Phil Tomasello from the Danzer Specialty Division in North America. Danzer Linea American White Oak was used for the walls, ceilings and furniture surfaces at the 740,000 square foot NewYork-Presbyterian David H. Koch Center. Danzer Linea is a true-species, technical veneer. Manufactured from sustainable sources in the Northern hemisphere, it has an appealingly distinctive linear, rift-cut look. Like all natural veneers, Danzer Linea exhibits visual depth as light sources naturally reflect off the grain of the wood. The standard range of products is offered in a variety of different wood species. In addition to technical veneers, the Danzer portfolio also features standard and exotic veneers available in a choice of around 200 types of natural wood. Danzer’s hardwood products are on display at the company’s newly redesigned showrooms. “We’re happy to welcome prospective customers to our state-of-the-art showrooms where we provide in-depth information on the veneers, various prototypes, 3D-Veneer products and research projects on display,” Phil Tomasello added. Danzer’s showrooms are located in Grödig near Salzburg/Austria, in Kesselsdorf near Dresden/Germany, in Mělník/Czech Republic and Darlington, Pennsylvania/USA.